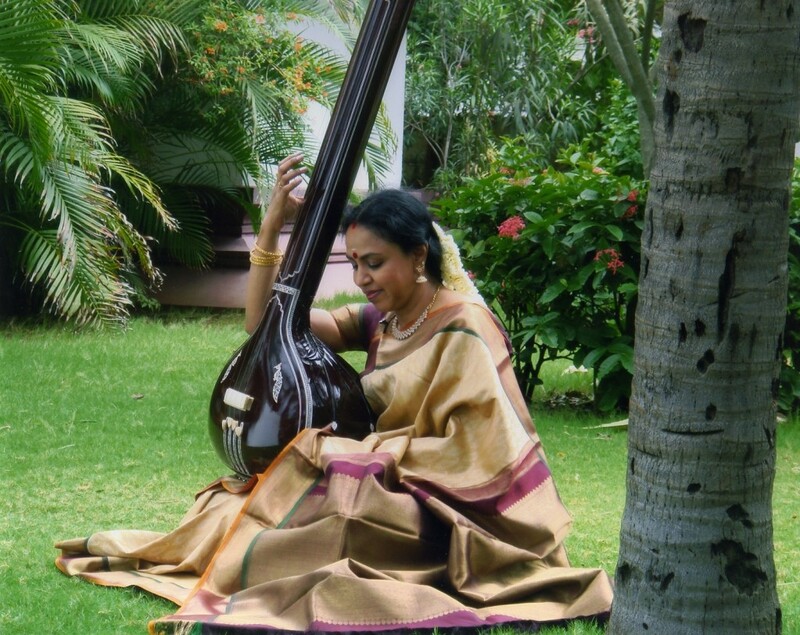 Padmasree Sudha Raghunathan, the voice of South Indian Music for over a decade or more has survived the years and still maintains the quality in her voice, her performance and her charming persona on stage. Off stage she is just as much a working mother as you or I juggling the challenges faced by women world over. She talks to us from Madras. 1. Audiences abroad how do you find them? They are very appreciative and disciplined. But then it’s also that this kind of music is not as freely available here as it is in our country. So, the scarceness also makes it that much more valued and appreciated – a case of the demand and supply theory I guess!! But then, it’s nice to see that as against earlier, there is a lot more of our music available not only in the US but now also in Europe, Australia and the Middle East regions. Otherwise, the response is pretty much the same and I guess it’s also a reflection of the musicians’ commitment! Oh, I can’t specify one. It’s like asking who your favourite child is! Depending on various moods, each raga becomes important and enjoyable, both to sing as well as to listen!! Whichever raga you choose to sing on that particular day becomes the favourite raga. You put your heart and soul into it only because you like it…..and then explore its different facets and showcase it the way your heart reflects the passion in singing!! But I think for my voice the pratimadhyama ragas are most suited. You can soar high and the width is larger. I sing in most of the regional languages and have close to twenty five to thirty favorites…..!! When you understand the lyrics and sing, you get to the core emotions of the song, which reflects in the audience response as it brings out that bhakti element so succinctly. There are instances when I may not understand the lyrics completely but the structural composition – the raga, the tala and the nuances enhances the delivery and makes that a favorite song….! What I choose to sing that day, pouring my heart and soul, becomes my favorite song. Thamizh is my mother tongue so naturally I would emote a little more when I sing in Thamizh. Quite obviously my Guru. She is the origin of my music and is ‘high above’ in all aspects. Always taught me to have an open minded, when ideas of others are good, to appreciate, applaud and learn, to be flexible. And of course my Grand Guru, the great GNB, then MS Amma and DKP Amma. It was at the Indian Fine Arts Society, Chennai during the late 70’s. 5. What practices did you or do you follow before giving a concert? Talk less, internalize, think and contemplate on music, less of people interaction. 6. In choosing pieces for a concert what are the various things that influence you in selecting those pieces? I don’t really ‘choose’ for a concert. Most of them are extempore. The moment I see the audience, an invisible connect happens and it helps me feel the pulse…I take it on from there. 7. Do you think all artists should introduce something new at each Concert?, If so, what are you going to do in Sydney ? Yes there can be a new introduction, not necessarily a new composition. It could be a raga aalap rarely done, a new mathematical pattern, a sangathi ….in so many ways. Yes I do have something new for my Sydney audience….please wait and watch/listen! 8. Do you still continue learning? And how do you do it? Yes I do keep learning. Go to vidwans, from cds, take up new lyrics, learn from any avenue where the music is compelling. 9. Have you composed songs and where and how did you get inspired to do that. ? I have really not composed but have worked on song notations. Inspiration?….it just happens and is quite inexplicable! I also choose lyrics that have not been sung earlier. 10. Your most inspiring moment? Many moments….receiving the Padmashree from the President Abdul Kalam, launching of my Samudhaaya Foundation, the reflection of love and compassion in the eyes of our beneficiaries during the recent function where I had garnered funds for the hearing impaired children, sexually abused children and those needing palliative care. Just inspired me so much- that there is also a purpose in my life beyond my music…..
Can’t wait to hear her sing in Sydney, she is one of my favourites!